Now you can earn a big amount of money while you simply surf the internet as you surf daily. 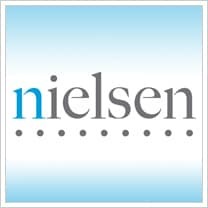 To avail this opportunity, you will need to sign up with ‘Nielsen' and then install their ‘Research Computer Meter' which basically records the internet trends etc. And for doing so you will be awarded money. They are going to give up to £30,000 to 150 lucky winners and you can be one of the lucky winner. To start making money, click on “GET IT HERE” button and fill out the detailed form with the complete details and then install their program on your computer. That's it!